"A good side dish when your guests are vegetarians and meat lovers. (As in my house.)" The staff at Allrecipes.com has revised the recipe to reflect the changes as suggested by the submitter. Note from the recipe author -- There is a typo in the recipe. It should be 1/4tsp of pepper. Made this last night and we LOVED it!! 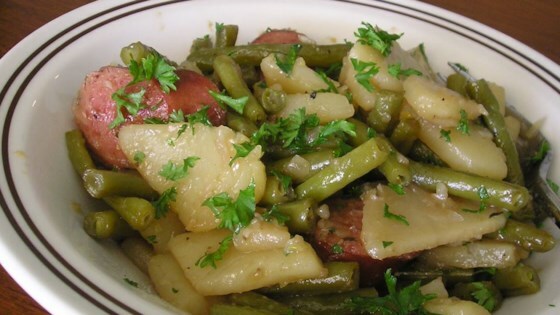 What a great, low fat, low calorie side dish for those of us Weight Watchers. Very filling also. Thanks! !